GET IT. READ IT. PACK LIGHT. GO. 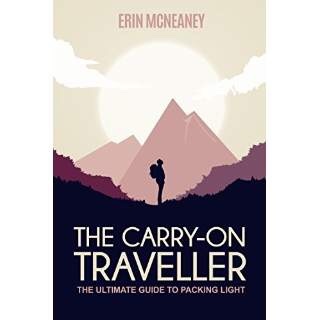 I am honored to be included in the interviews for this book on traveling with carry-on only. Erin has done a bang-up job of putting together advice, information and tested-in-the-field examples of ways to travel without unnecessary baggage. Whether a solo travel senior like myself, or a family with kids, this book will help you rethink the way you travel. In fact, while I had long thought of myself as a light packer, being interviewed here and reading this book has resulted in my paring down to just what I need for a week's travel. Wash and repeat, and go indefinitely. Thanks, Erin, for including me, and for helping me see all the ways I could improve my traveling experience. Also, you should check out Erin's blog, the neverendingvoyage.com for lots more insight into the life of a couple of digital nomads who've been packing lighter and lighter for six years. It's only available on Kindle, but you may download the free Kindle app, and read it on any device you might have. Oh, about yesterday's image. That's the local alterations man making the bag mentioned in my interview ready for a longer adjustable cross body strap. More on that later, including lessons learned on my most recent travels in Mexico. 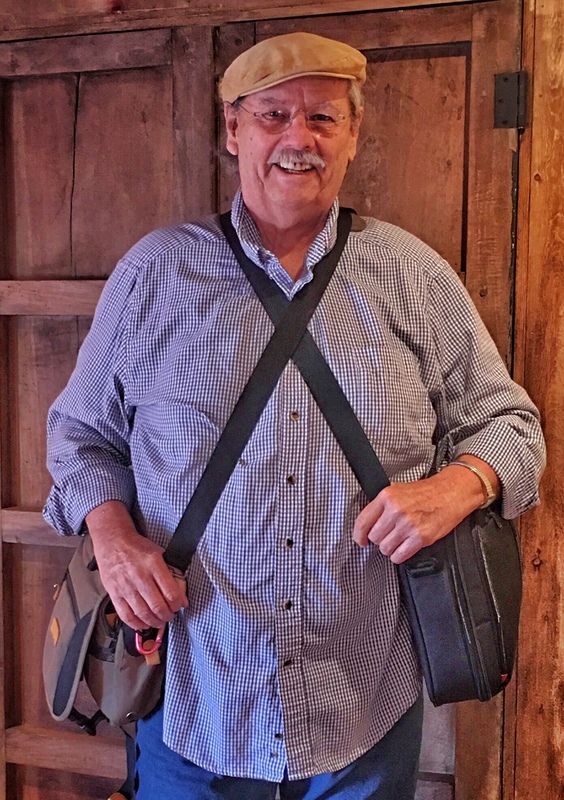 Pack light and I hope to see you on the road! Yeah, but you’re a guy! What about my make-up and all my jewelry ensembles. Plus, shoe and bag changes. Oh, well, guess I’ll stay home. And…congrats on being an example in what looks like a good book. I have learned much from you on “paint equipment packing light”. Limited palette, limited baggage. Yay.